Here’s someone who we are always super happy to run into in Harajuku – it’s Coi! 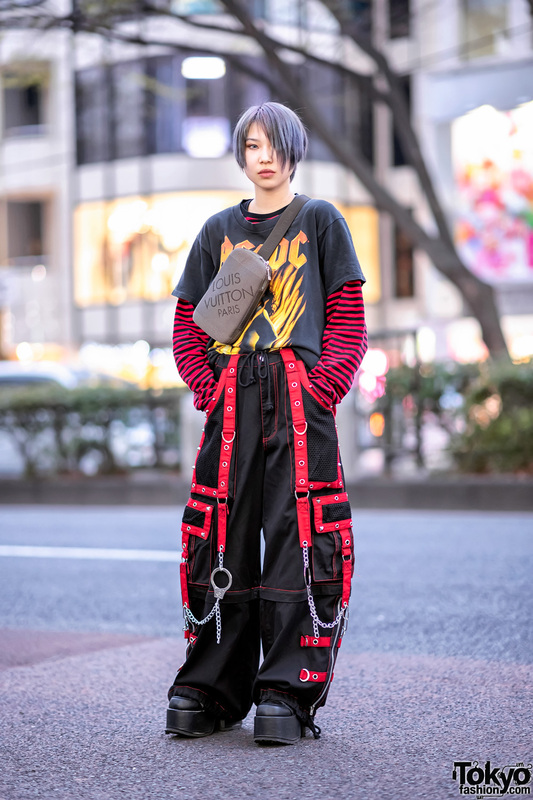 Not only is Coi a style icon in Harajuku (her snaps have been published in many cool Japanese fashion magazines), she’s also the owner of her own vintage shop, Bubbles. In fact, we have big Bubbles news to share with you! As of today, January 3, 2012, Bubble Harajuku has moved into a new location. The new Bubbles Harajuku vintage boutique is bigger and in a better location (right off of Meiji Dori) than the previous shop! We’re planning to post an update with pics of the new shop soon. In the meantime, check out our report on Bubbles Harajuku! As for Coi’s fashion in these snaps – she’s wearing a bright red coat from American Apparel over a knit sweater (or sweater dress?) she picked up resale, House of Holland over-the-knee socks, and flower-pattern shoes which she bought in South Korea. Her accessories – all of which came from Bubbles Harajuku – include a watch hair clip, fluorescent green cross earrings, a backpack featuring a “Mexican blanket” pattern, and purple fangs (not 100% sure if the fangs are accessories or real). Coi told us her favorite fashion brand is Chanel and her favorite band is The KLF. If you’d like to know more about her, check out Coi’s blog! Her purple fangs are great! her shoeeeeees <3. + her hair <3. Kawaii! lovely bright outfit. love the vamp teeth! 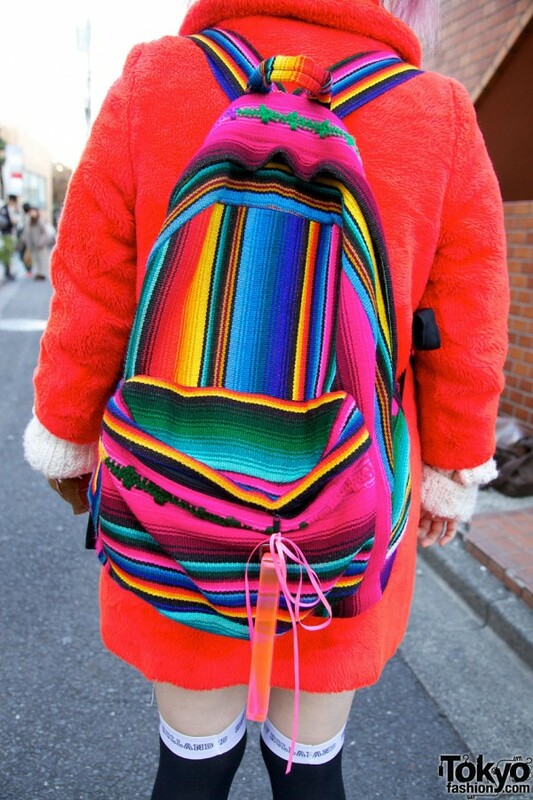 I want her jacket too.